I’m sure you have all heard about the historic swim by Diana Nyad. She swam the 110 miles from Cuba to Florida without a shark cage making her the first person to do so. Even more exciting, she just completed this swim after 5 attempts dating back to I believe 1978. I have been following Diana’s attempts this past year and am so impressed and motivated by her incredible endurance, perseverance, and sheer determination. What a great reminder to us all when the going gets rough or when the going just gets a little bumpy. Or we become discouraged, lost, or lose hope. Find a way. Find a way. You must find a way. Hold on to this and you will find a way. Not these exact words necessarily, but certainly this idea, has kept me here through challenges small and large. And you know what? Today seems pretty bright. Being a good horse owner, a good competitive rider, or recreational rider means that you make an agreement with your horse and yourself to take responsibility for the performance and well-being of both you and your horse. Good riding and good horse management never happen in a vacuum. The phrase “it takes a village” is exceptionally true when it comes to good horsemanship and to riding. The wonderful thing is that you can put together a terrific team of professionals that are happy to work with you and your horse to help you succeed in meeting your goals. Seek professionals that are willing to work together as a part of your team. The professionals involved include your trainer, vet, farrier, and equine dentist to get started. Each of these people should be willing and able to help you as a part of a team effort to get you and your horse where you want to be. If, for example, your farrier is not willing to work with your vet on a lameness problem, maybe consider a new farrier. Take responsibility for the health and happiness of your horse. If you suspect that an underlying problem is lurking or you are having a training problem, always look at possible physical problems first. 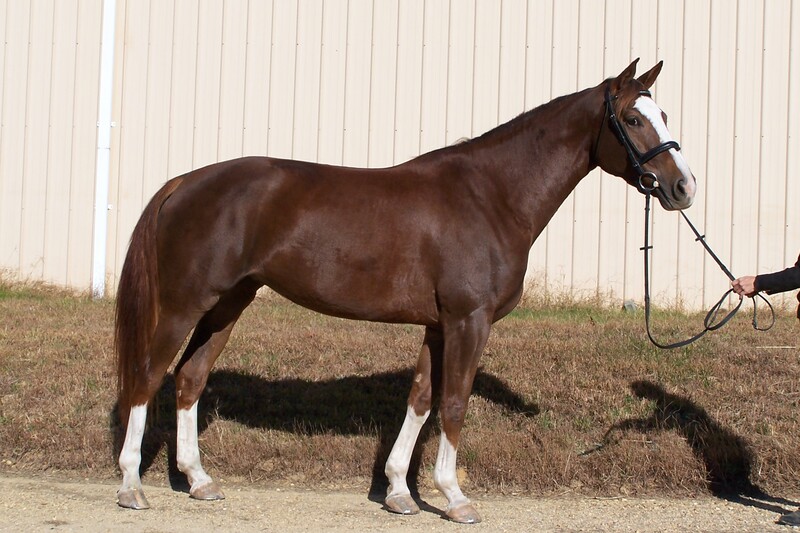 Your horse will never be able to perform his best if there is physical pain or a discomfort problem. Common problems can include back soreness, bitting problems related to dental health, or arthritic changes in your horse that may lead to discomfort and training difficulties. Discuss your concerns with all the pros on your team. Now is also the time to check saddle fit too. Adjustments can be made through flocking, adding or taking away extra pads and the like. Remember that a good saddle fit also means a balanced saddle which in turn helps YOU stay balanced. Your saddle has to fit the horse and you! Ask your team to look at things from their different points of view and help you find and resolve any problems. If you get a solid all clear on the physical side and the equipment and tack side, it’s now time to really look at the training program to understand a problem. Buckle down with your trainer and get to work. Take responsibility for your own comfort and your ability to perform your best too. All of your riding clothes and equipment should be comfortable for you and not get in your way when you ride. Ask your riding friends, your trainer, talk to the staff at retailers, whatever you need to do, to get the best riding gear for you. Keep in mind though that your friend’s favorite pair of breeches may not be your favorite. So shop around a little, try things on, and most important, give any new equipment a good test ride before the show! Take responsibility for your preparation just before the show. Ask your trainer “is there anything else I can do? How would you suggest I prepare? Do you think my equipment is just right? Do I make changes just before the show” (usually not, unless it’s about correct fit or comfort). Be sure you are practicing at a level slightly more challenging than the level you will be competing at. You should walk in the competition arena feeling well prepared and confident in your and your horses’ ability to do what is asked. Ride your dressage test on as many horses as possible. It may not matter that each horse cannot do every movement exactly, but that you are riding through the pattern and movements. You’ll probably also learn more as well! You can stage out a mini dressage arena at home and “walk” your test for practice too. Check the rules for what types of jumping obstacles and combinations you might face at competition. Be sure you and your horse are confident with all of these. Eventing: Be SURE you have cross country schooled all the different types of obstacles you will face on course. Plan to leave the start box with the confidence that both you and your horse can successfully meet every fence on your course. Have a plan and a strategy for the whole course as well as each fence. Watch. Go to shows and competitions and watch and learn. See what others do well… and not so well. Learn from other’s successes and mistakes. See what looks really good to you and think about emulating the good stuff. Video your rides at home and at shows. When you watch you can often piece together just a little better what your trainer is telling you, or exactly what went so well (or so wrong) at the show. If you tape your dressage ride, it’s really helpful to break down a video movement by movement and consider the judge’s comments and score for each movement. When something goes wrong, honestly, really honestly, look at what could be a problem. Were you running late and skimped on warm-up? Did you forget a piece of equipment and decide “we’ll be ok for today”? Did you have such a bad blister that you could hardly stand to walk, much less put your heals down? Have your been on vacation and not allowed enough time to get back into a program before the show? Was your horse fit enough for the level of competition? Did you have enough help at the show? Is it your nerves? Come on, we all get nervous. You can work on that too! Ok, now you’ve identified a problem. Start taking steps right away to work so that it improves or doesn’t happen again at all. Know the rules and regulations of the competition. Pack a copy of the rule book or books with your show equipment and always have it with you. If you are not sure of a rule at a competition or have a question, you can ask the Technical Delegate for clarification. Have all of your entry requirements taken care of ahead of time. Check in with the warm-up steward, let them know you are there, ask if the ring is running on time, find out who goes before you. Know that horse and their number so you can keep track. Keep in mind that most of the ring stewards, gate crew, and other people running the show are volunteers. Be gracious and say thank you. It goes a long way. Speaking of being gracious, remember the people who are helping you. Did a good friend get up before the sun to spend the day with you at the show? Be nice, say thank you, return the favor another day. Remember your trainer is probably standing in the hot sun or pouring rain all day. Even if they are getting paid, a thank you always goes a huge long way. Have a groom? They work very hard and usually have more people and horses than just you to think about. Let them know how grateful you are that they are there for you. Know the official show time. There is usually an official clock and an announcement of official show time. Set your watch to it. Plan ahead for time to walk courses. Of course, there are always some things we cannot prepare for. But, when we have really taken responsibility for the preparation of both your horse and yourself, other speed bumps that life or the show may throw at you are less disruptive and easier to take in stride. By taking responsibility, you can also take credit. When you go out and have a great ride, you will know that it was a product of your hard work, your dedication, and your commitment to working with your team. When you do well, you and your team are all winners. And that to me is the biggest achievement you can come home with at the end of the day. It’s not about the ribbons. Sure, ribbons and prizes are nice, but they don’t always go to the real winners at the end of the show. Set yourself up for success: take responsibility and you will come home a real winner. Show Season is in full swing and many of you are experiencing the highs and lows that naturally go along with competing. And just riding for that matter! With that in mind, I have some planning thoughts on helping to make your next show as successful as possible. Also, stay tuned for the next edition! This is one of my favorite planning tools. It really makes you think about everything that you have to do to be at the in-gate on time, prepared, and organized. Start with your actual ride time, and then micro-manage your schedule all the way back to your own wake up time. Then think even more backwards to what you can do the day, days, even weeks and months before, to be organized and well prepared. You have to take into consideration all kinds of factors such as how long you and your horse need warm-up, if your horse needs to be lunged or hand-walked prior, where trailer parking is in relation to warm up and competition arenas, time to sit and have a snack, bathroom breaks for you, watering your horse, etc. The time it takes to go get your number from the secretary (there might be a line!). Do you need to arrange to bring a grounds person/groom? Does your horse need to a horse friend or person to stay with him or her while at the trailer? These are YOUR responsibility to think through! Remember to also check your shoeing schedule. 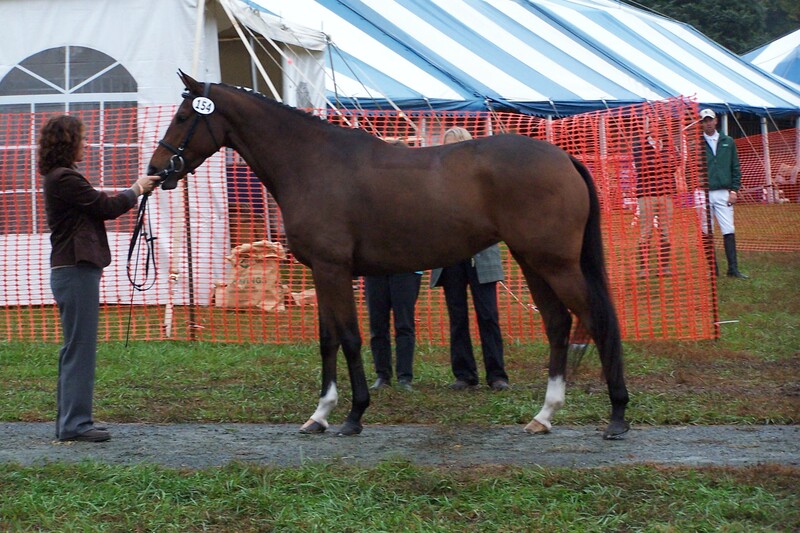 Consider having your horse shod a week early if the show falls close to the next due date. Vaccinations and coggins. Don’t get caught with frantic calls to the vet! Schedule all your vaccinations and coggins well in advance. Allow at least a week, preferably two, after vaccinations just in case your horse has a reaction, etc. Allow time for the coggins to be read and returned to you as well. Alert! Some shows have specific requirements for some vaccinations and require proof. Read the requirements for the show(s) you are entering and plan ahead. Now that you have looked at all of that, below is a sample of what I mean by Think Backwards. 8:15 arrive at show grounds, offer your horse water, set up your trailer for the day so your things are organized and accessible, scope out location of arenas, warm up areas, port-o-potties, etc. Even the best organization can’t ward off some problems. Some things are simply out of our hands or beyond our control such as weather, show delays, other rider problems, a hectic warm-up arena, and so on. It is an inevitable part of competing. BUT, you can significantly reduce the impact of these things on you and your horse if you are well prepared and organized otherwise. Set yourself up for success at your next show! Be the rider that is calm and confident at the in-gate, ready for a great ride, because you are prepared and ready. Avoid being the rider, and we all know they are out there, that is rushed, flustered, and in a panic at the in-gate. Think through the time schedule, what equipment you need, how much time you need, what help you need. Then make a plan and go out and have fun! WinGreen Farm is a beautiful cross country schooling facility in Rhoadesville VA. It is owned and run by Leslie Clark, who, like most horse people, works incredibly hard and rarely takes a day off. Persuaded by her daughter, Leslie took a 10 day vacation to visit her home and family in England and left Sam & I in charge of her farm. WOW! What an opportunity for us! Our farm is lovely, but we don’t have a complete and extensive array of cross country jumps, a measured galloping track, and hills to top it all off. So, filled with a sense of adventure, we packed up 6 horses, mountains of tack, and off we went. Joined by many students throught out the stay, some for an afternoon, others for several days, we made the most of every moment there starting riding and working at 6:30 AM and going well into the evening hours. For our part, we accomplished things from the baby’s first water, ditch, and bank, to the older horses working out a few kinks, showing off their skills, working on pacing, and gaining polish. But, nothing I can say here tells the tale as well as that of our student, Laurel Lundstrom. I think her story reflects a lot of what everyone who participated got out of the experience. I’ll leave you with that to read her post below. Our first day at Wingreen Farm, a snake hung coiled by the farm’s entrance gate. “You know seeing a snake means transformation,” said Sam. No, I thought, nearly jumping out of my skin. To me, the long black snake evoked childhood fears. My palms began to sweat as I quickly latched the gate and hopped back into Sam’s truck, slightly breathless. Little did I know that Sam’s vision would soon ring true. The week spent with Samantha Allan and Jennifer Clover rediscovering the cross-country phase of eventing was truly transformative—both for me and for my equine partner, Mardigras. After my near 15-year hiatus from the sport, Mardi’s near-fatal broken elbow and the many challenges our partnership has always faced, I had little confidence that together Mardi and I could ever soar. I bought Mardi on a whim four years ago, more than a decade after I dropped out of the horse world— exchanging long hours working for rides for a life away at college in central New York. Six months after my purchase, I flew over to Africa for a time and soon thereafter landed a job in downtown DC. My time with Mardi had always been constrained. And a year after Mardi became my own, she hopped in from the field on three legs. With a displaced fracture of her olecranon (elbow) joint, there was little chance that Mardi and I would ever have the chance to perform. One veterinarian told us it would be best to put her to rest; another recommended a financially improbable $15,000 surgery; and yet another predicted that with a year or two’s stall rest, she might become a horse that could live at pasture peacefully or maybe even be ridden leisurely. Mardi and I, we felt damaged. Mardi had evented to the preliminary level. Quick on her feet and a pretty mover, she was far too much of an athlete to fade into field life. After two years of rehab and a year of getting her fit again, we proved those vets wrong. She has been sound for almost a year now and started over fences about six months ago. With instruction from Sam and Jennifer, our flatwork has become decent, but we have struggled to meet fences with ease and organization, and for fear of a crash, have not dared to embark on the cross-country phase of eventing. Always goal-oriented, I have far-fetched dreams of successfully riding Mardi to her potential, a dream that never seemed a reality—until our week at WinGreen. We spent our first hours at WinGreen organizing the six horses we had brought along – setting up stalls, tack, schedules, feed. I was immediately reminded of what I had once thought I was meant to do and of the life commitment horses really are. Once we were set up, I received my first lesson on Mardi. We began by trotting and cantering a circle in a large, open field. As is commonplace when we are outside of the ring, Mardi popped her shoulder, evaded my leg, crow-hopped and turned our circle into more of a star. Sam instructed me to increase the bend, remain steady with my outside aids, look with intention at our path, and to sit up and ride. With increasingly clear aids, our star-shaped path folded itself back into a circle. I took these same instructions, and we started over fences. With a horse ever wanting to grab the bit, run at full-speed and launch herself from a long spot, Sam urged me to keep Mardi in front of my leg and to ride her every step of the way to the base of the jump. At first with difficulty and then with increasing ease, our arrival to the cross-country fences became more organized and rhythmic. Like Sam, I exercised patience and focus – two main tenets of instruction at Allan & Clover Sporthorses. With each day hacking and receiving intermittent instruction over cross-country fences, Mardi and I transformed from two separate athletes into a team. First starting over 18” logs, by the end of our week at Wingreen we approached training-level fences and even some preliminary questions with confidence. Ditches, banks, skinny jumps, water, trekheners, up-hills and down-hills were taken in stride. I went from holding my breath to breathing at each stride. 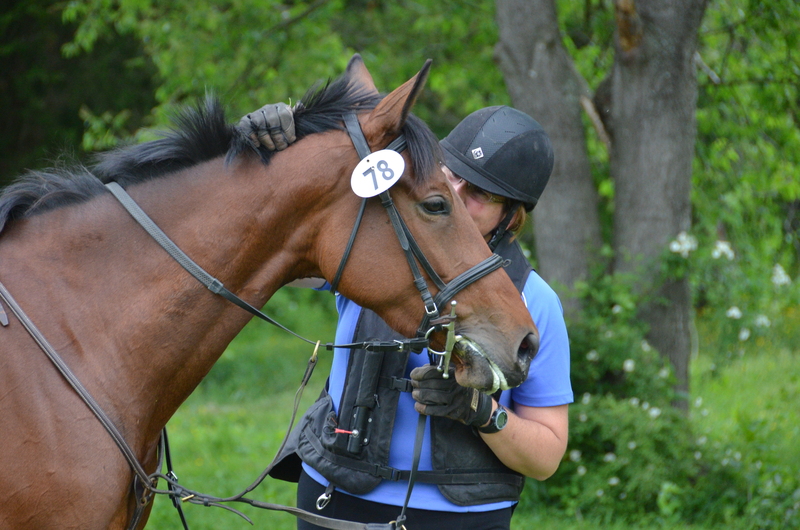 I went from garbling my guidance as a rider to guiding Mardi clearly around WinGreen’s cross-country courses. I went from a world of lost confidence to a world of many possibilities. I enjoyed my last ride on Mardi at WinGreen, hacking out on a loose rein. When I wasn’t riding myself, I had the opportunity to watch Sam and Jennifer at work. They rode their own competitive mounts, and they brought along the greener crew. I watched as young horses tackled new obstacles through a step-by-step approach that presented them with realistic challenges. They introduced their four-year-old to ditches, water and banks on the ground. By the end of the week, the horse was mounted and jumping each of those elements with pleasure and excitement. Back at the stalls, I learned about the individual care they give to each of their horses. I was reminded of the importance of wrapping their legs after a long, hard work out and why certain boots and equipment are appropriate in some instances and not others. Both mounted and dismounted, I recalled the physical and mental perseverance required to be a competitive event rider; something Sam and Jennifer must conquer every day. I hope that others, too, will have the opportunity to embark on a similar journey with Sam and Jennifer. Snake or no snake, I promise it will be transformative. Hi there! The Fundraiser is just around the corner – Sunday March 18th!! We have some great new things… First, we’ve added a silent auction to feature a week at beautiful Myrtle Beach and a stay at a Rustic Retreat here on Chesapeake Bay. 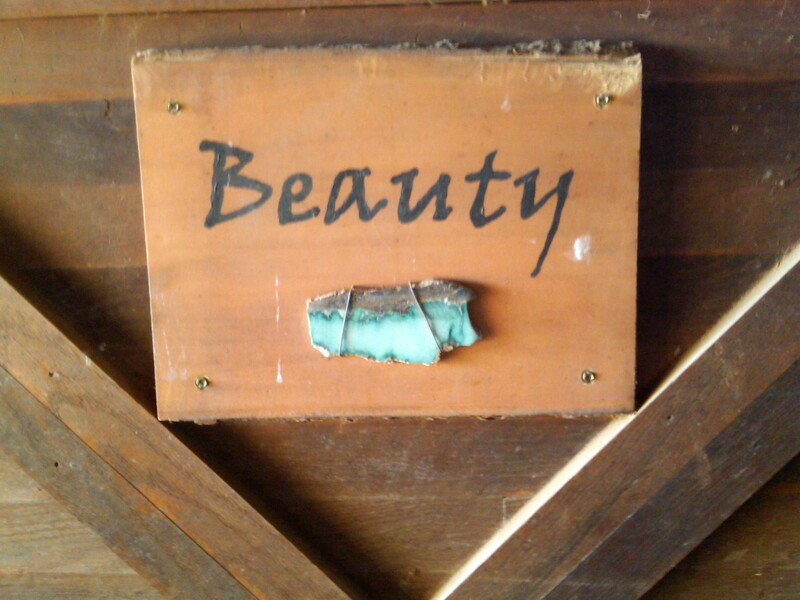 Sam & I have stayed at the Rustic Retreat and it is a slice of peaceful heaven!! Be sure to stop by and check out Padi Hollowell’s stall signs featured above. She is a talented artist and will be taking orders for your own, handmade stall sign. She will have samples and is just awesome to talk to no matter what. AND we’ve got Sam’s incredible Aunt Becky doing crystal card readings (read Tarot cards if you are lost….). If we are really lucky she’ll be doing some Reiki treatments. Alternative healing at its finest. So now you can get some lessons, stay fit, get a new stall sign for all of your favorite horses and get a crystal card reading and reiki treatment to top it all off! WOW! Not to mention all of the other super things you could win at the raffle! Good morning! Its a Monday in January and the temperature is supposed to go up to 45 again today. Go ride!